Come visit the Okanagan’s first Passive House: Protecting the earth one gorgeous home at a time. This stunning home takes its responsibility to the earth seriously. It’s also seriously beautiful, functional and the first of it’s kind in the Okanagan. Enjoy valley and lake views from the generous deck or through the floor to ceiling windows. No design detail has been overlooked in the modern style of this entertainer’s dream. Contemporary styling is discovered around every corner from the bathrooms to the to the lofted top floor, to the glass den/office with custom designer wall units. Your gourmet kitchen with all quartz counters and top-of-the-line appliances. A salt-water pool is waiting for your friends and family. Park and charge your Tesla in the oversized garage - with plenty of storage space. Natural solid hardwood floors, with a monochromic colour scheme, come together for a calm, relaxing retreat - good for both the family and the earth. 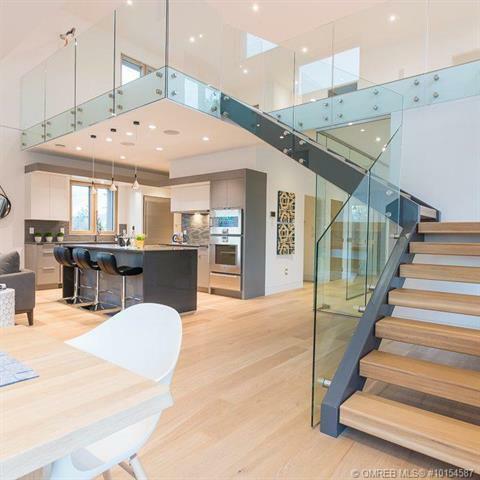 If your wish list includes the latest in ecological technology, call me to view at 250.718.1786 or come tour the Open House on Sunday, April 8th 1-3pm.